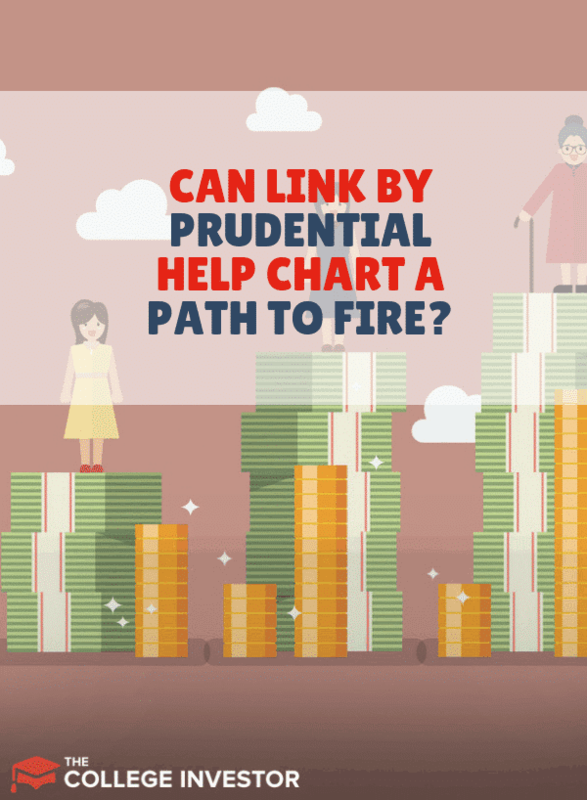 Home » Can LINK by Prudential Help Chart A Path To FIRE? This article is sponsored by Prudential. All thoughts and opinions are my own. Setting out to achieve financial independence and retiring early (FIRE) is an ambitious goal. It takes dedication to increasing your income, keeping expenses in check and investing for the long run. But how long will it be until you can FIRE? 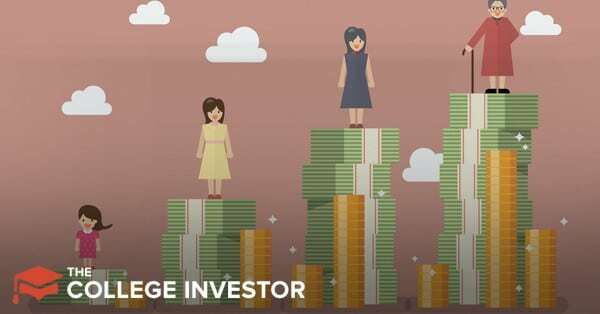 What if you have other goals that you need to fund before you plan to retire? Until now, it’s always been difficult to map out your financial life. The different goals, timelines, variable - it can get messy. With the new tool called LINK by Prudential, you can chart a path to your early (or on time) retirement along with all your other goals. Plus, it doesn’t cost anything to setup your plan. Am I On Track To FIRE? LINK by Prudential is a great tool you can use to explore your money and life goals. You can use the tool to set certain goals (a wedding, college for your kids, a down payment for a house, and of course retirement). Then you can show how much you have saved towards each goal and how much you are contributing towards the goal on a monthly basis. From there, LINK shows you a probable outcome for your goals. Based on my family’s spending of just over $6000 per month, LINK estimates that I need just over $4.4 million to retire in 15 years at age 45. According to LINK, I’m likely to have $1.5 million in retirement investments at that point. Of course, like most people on the path to FIRE, I’ve got goals other than retirement. We’re also saving for our kids’ college expenses, and we’re saving to buy a multi-family property next year. On potential gaps that LINK showed, I’m under-insured. This actually makes a lot of sense, since I bought life insurance when my income was half what it is now. With LINK by Prudential, I can see whether I’m on track for any or all of the goals. Plus, it gives you good reminders or can help you identify potential issues with your plan. From using LINK by Prudential it’s pretty clear that I’m not on track to achieve FIRE by age 45. At least if we continue to put just $3500 per month towards retirement and continue spending $6000 per month (adjusted for inflation). However, using LINK by Prudential, I found that I was on track to achieve financial independence around age 60. If we decrease our spending or put more money towards the retirement goal, we could achieve financial independence even earlier. Or, we could focus on earning more (and then saving more). If you’re like me, you’ll probably think that getting to $4.4 million in 15 years is nearly impossible, even if you’ve got a pretty healthy start on it. However, when my family adjusts our spending down to $5000, throws additional money at retirement and increase our risk tolerance, we can see that our goal drops down to $3.6 million. Plus by increasing our contributions (thanks to our increased thriftiness), LINK’s simulation estimates we’ll have $2.1 million in 15 years. LINK makes it easy to change your expenses, retirement contributions, or other goals, so that you can figure out if you’re on track to FIRE. Or, you can at least play around with the different scenarios quickly and easily to see if there are changes you can make that would allow you to achieve your financial goals faster. You also don’t need to be FIRE-focused like me. You can also simply look at regular retirement, or other goals like saving for a home, paying for college, etc. The little changes you make allow you to see all the goals in your plan adjust accordingly. If you’re interested in achieving early financial independence and retiring early, use LINK by Prudential to see whether you’re on track. It’s free, it’s pretty robust, and it can allow you to get a clear snapshot of your financial roadmap. While a successful FIRE plan has many moving pieces, using LINK by Prudential can help you determine whether you’re moving in the right direction. Additionally, if you’ve got questions that a professional can answer, you can use link to reach out to one of Prudential’s financial advisors.